Goals do matter. They encourage us to believe that we can influence our own future. Theodore Roosevelt who led the original band of rough riders, must know a thing or two about setting goals. I mean he started out in life as a sickly child but ended up an accomplished author, war hero, governor, vice president and president. He said, “In any moment of decision, the best thing you can do is the right thing, the next best thing is the wrong thing, and the worst thing you can do is nothing”. In essence to do nothing is a decision in itself. As career strategist John Lee notes, “deciding to do nothing about your career in 2018 means that you may add little to your CV in terms of learning, new experiences or market potential”. Don’t be that guy (or girl!). To be clear if told to choose between ambition and realism I would opt for the former every time (as anyone who reads my weekly blog can attest). Almost every single one of the inventions, breakthroughs and achievements that humankind has realized through the ages has been done against the grain or against the run of play. Nevertheless, you cannot exceed the boundaries if you do not know what those boundaries are. For instance, many of the respondents expect to increase their earning in the future to around £40K in their mid-30’s and £60K by the age of 44 (I can see you nodding your head thinking that is about right). Data suggest that (you might and) many will definitely be disappointed. The mean salary for workers in their 40’s is £33,509 and this figure reduces for workers over 50 according to numbers from the 2017 Office of National Statistics. As the saying goes, “if wishes were horses ...”. There is a difference between goals and dreams. Goals require plans and first steps but fuzzy dreams leave you with a warm feeling. This is the difference between vaguely hoping something will happen and influencing the future so that it does. As John Lees notes, “rather than working hard and keeping your head down hopingfor promotion, you can take active steps to move towards higher earnings”. The 2 most commonly set professional goals were ‘career progression’ and ‘achieving a pay rise’. 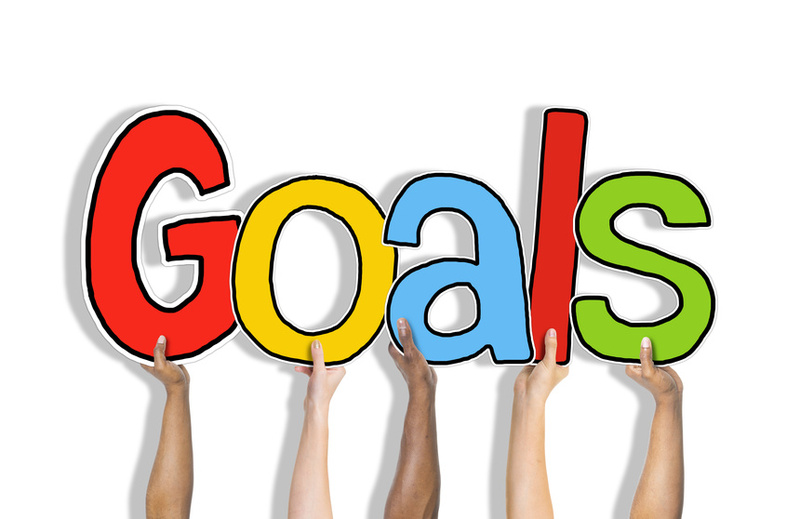 These big goals need smaller steps, such as gaining specific skills, experience or qualifications, or even adding an organisations name on your CV. · Review your whole career so that you can talk about it as one flowing story with each stage showing positive decision making. · Sit down with a coach, friend or even spouse and talk about the biggest changes you want to see in your life. Work out what you need to do now to begin to make that happen. · Talk to people in jobs that look interesting. Find out what these roles are really like and whats happening in their work sectors. · Look realistically at earning ambitions. What do you need to be a top 10% candidate in your chose field? What experience, knowledge, skills or changes in attitude do you need to earn above the average for your age band? Hope you achieve all your goals for 2018, have a great week and knock the ball out of the park. University of OxfordPhD Studentship � Operations Management & Information Systems - Operational Research in Managing Collaborative Logistics. King's College LondonPhD Studentship � Operations Management & Information Systems - Operational Research in Managing Collaborative Logistics.